There is just no end to what adaptations the King of Evil will make in order to defeat Link, is there? Ganondorf has further returned to his roots, re-inventing himself in order to acquire all pieces of the Triforce once and for all! 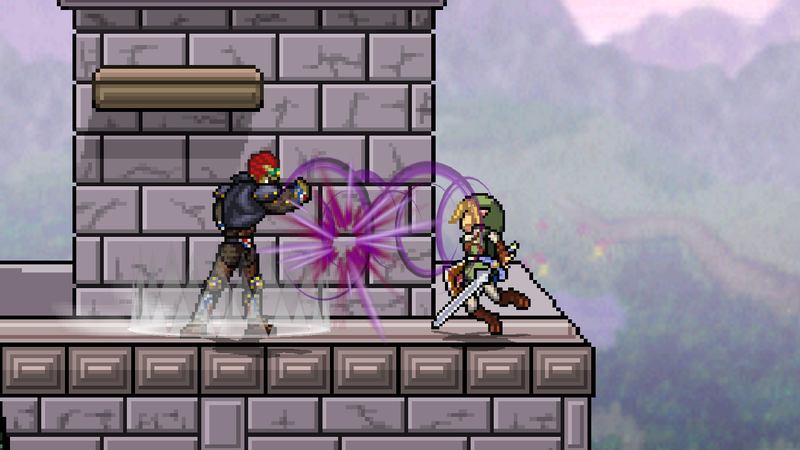 The lightning that Ganondorf’s Longsword emits now sends targets towards the main hitbox, located on the blade. 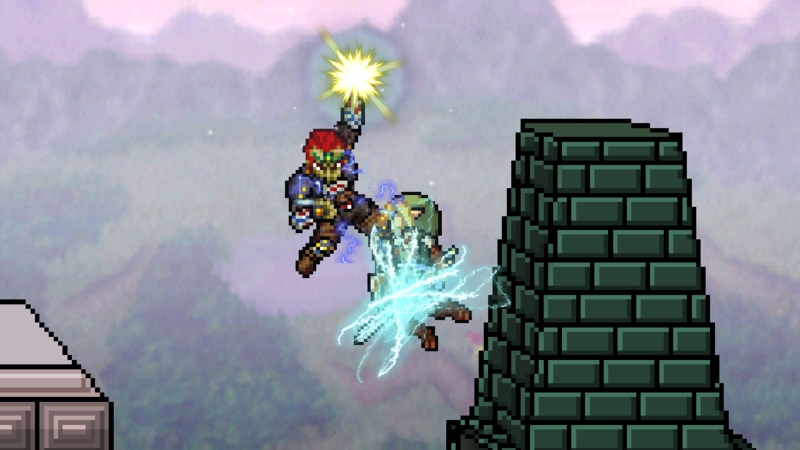 Ganondorf charges his neutral special! ...But it can be hard to avoid when fully charged! 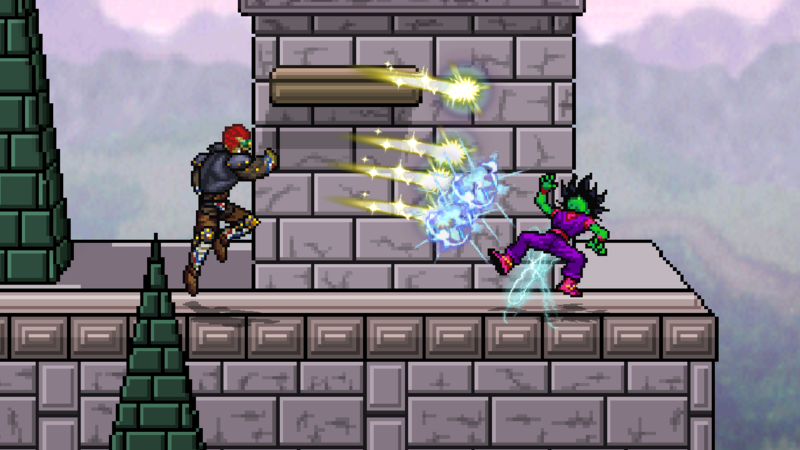 As mentioned, Ganondorf’s volley of offensive magic had already been upgraded. We decided to step it up a notch by further integrating some of the characteristics of the attack from Ocarina of Time. 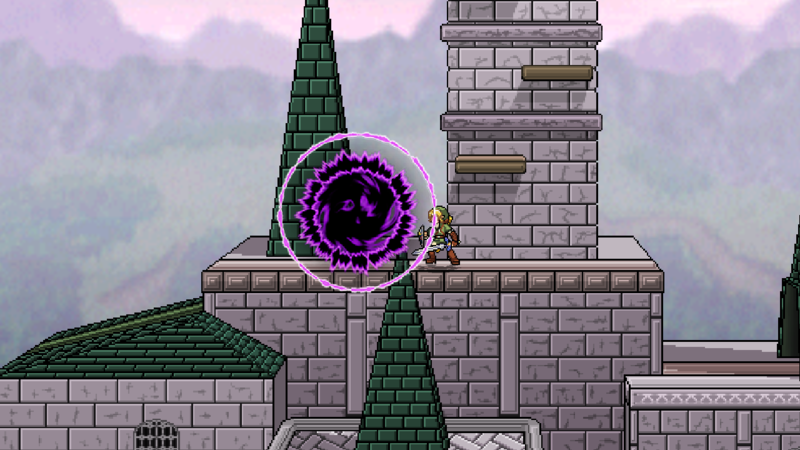 For starters, the projectile travels in a wave pattern and by charging the attack up, one can release up to 5 projectiles! 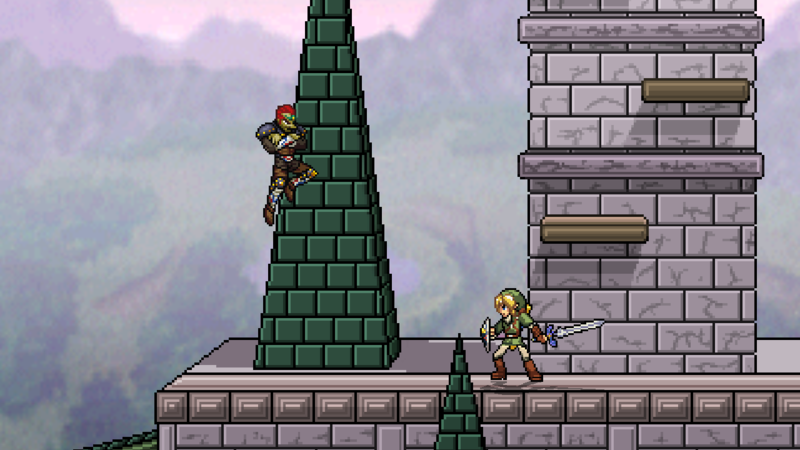 Which one is he in, Link!? Forget the old, Captain Falcon-inspired Up Special! The King of Evil is a separate character who deserves his own, unique recovery maneuver. As such, Ganondorf can now use the Portal Teleport, heavily inspired from the Phantom Ganon fight within the Forest Temple! This move isn’t a simple teleport however! 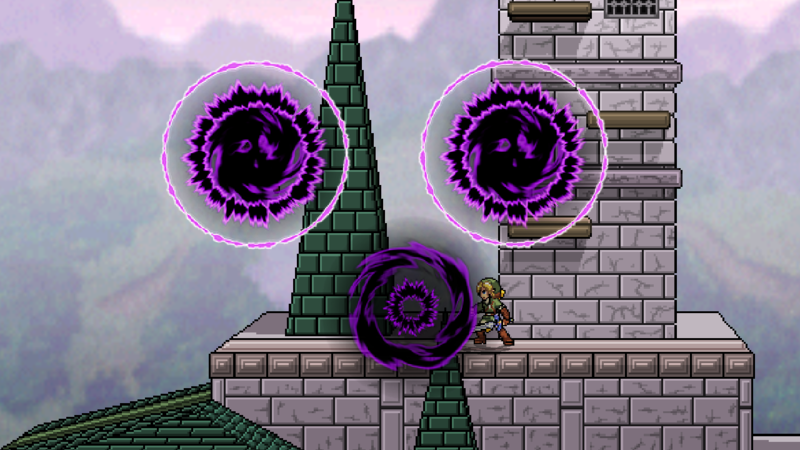 A couple of other, decoy portals appear alongside the one Ganondorf will emerge from, making prediction and reaction harder! The previous Down Special was a splendid idea in terms of representation, but its execution left a lot to be desired and did not fit with the rest of Ganondorf’s arsenal well enough. 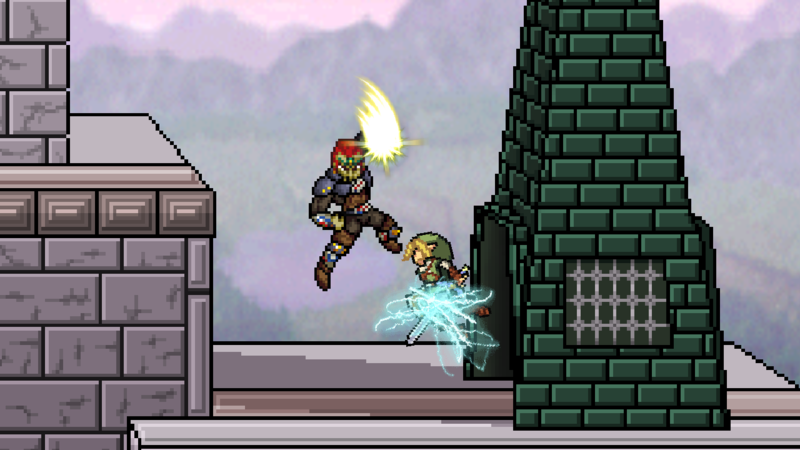 Thus, taking inspiration from Ganondorf’s showing in the classic Legend of Zelda as well as this incarnation in Smash, we replaced the old Down Special with the Ground Pound! However, the wind theme is still iconic and was thus important to preserve in some fashion. Consequently, it was used to enhance Ganondorf’s jab for a safer, disjointed multihit attack! 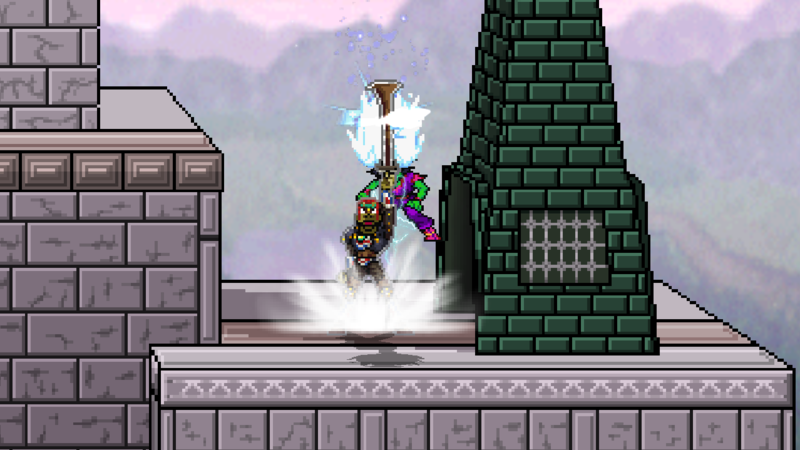 Here we have improved animation and effects for Ganon's down smash. And that motion blur on Ganondorf's back air is finally gone! 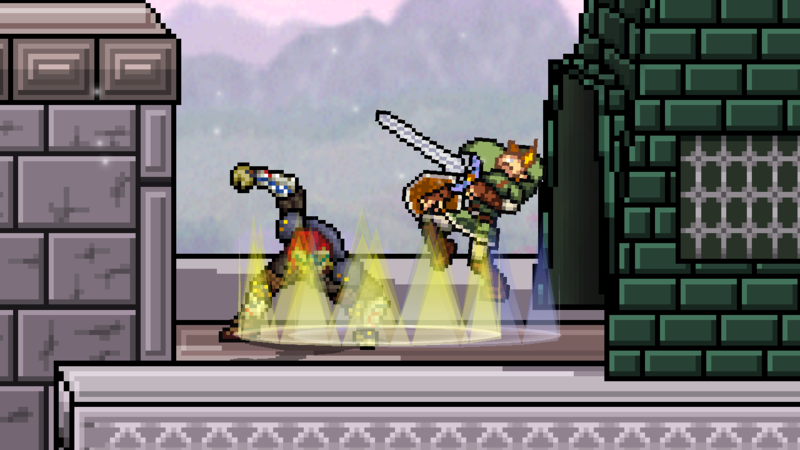 Some of Ganondorf’s animations have been tweaked. Additionally, some sounds from Ocarina of Time (such as the floating sound effect) have been incorporated, making Ganon smoother and slightly more “old-school”! Excited to try out 0.9.1? Let us know what you think! Tune in next time for a very special dev-blog! I'm not too sure about this jab change. 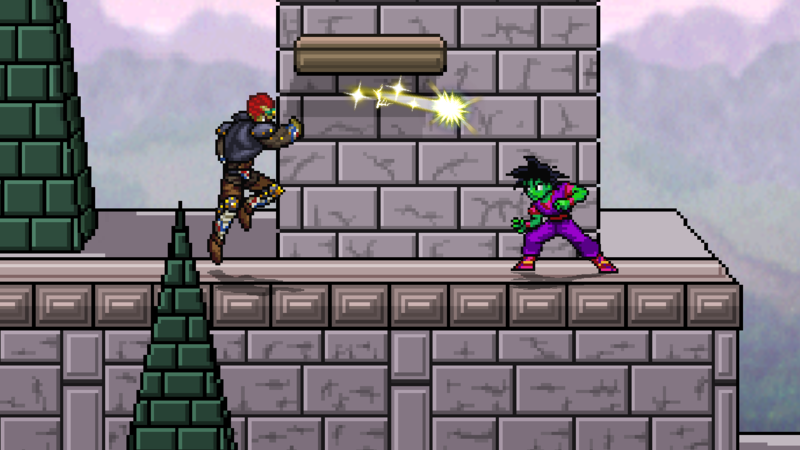 The original jab was unique in the smash series in that it was very fast and had only one attack. 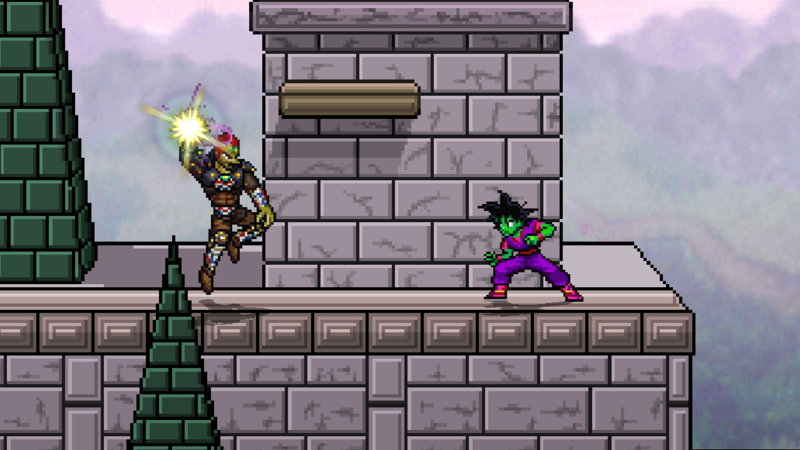 Now it's basically Megaman's jab. Still a good move, only I'm less excited about it. Other than that, great work guys. "Tune in next time for a very special dev-blog!" I'm just guessing here, but I'm taking a guess that the next blog is about Shantae. I like that new Up special. As always, good work guys! I like how in the 9.1 trailer that one of the announcements for Ganondorf is tweaking the old down special, but now they just completely remove the entire thing and put it on the jab. Well things are subject to change in this version. Okay, now I'm excited for next time! But wait, wasn't the down air a ground pound move already? and also does the n-special still stun as well as get reflected? I'm glad you changed Ganondorf to be more in-line with his presentation in the games. Though, I'm gonna miss the old clone one, any chance of him getting an alternate playstyle based on Sm4sh Ganondorf? No, down air was a meteor smash stomp with no effects on falling. Yes, Nspecial keeps the old functionalities other than angling the direction. Please refrain from double posting. New main.... even though Ganon's always been main. looking exactly like phantom ganon of PM. good choice. Isn't Phantom Ganon a mod for PM and therefore not part of PM itself? Mostly coincidence, this wasn't part of the plan as far as I was aware making it! Thanks though, we do think that these are the right direction to take him, and others must as well! I was planning on logging on once 0.9.1 released, but I'm feeling concerned lately so I'm returning prematurely. I've been following every update of this project, visiting daily, and I'm very pleased at the updates I've seen so far. Especially with Goku and Ganondorf; I wouldn't have imagined his ground pound to actually make it in the game, but I'm very happy it's finally here, along with many of the other changes made. That being said, it's... It's been over a month since the last "weekly" announcement. And almost a month since the last reply as well. Well, that's not entirely true; another reply was made recently that expressed concern over the delay of the next announcement, and not at all in a way that would have been considered whiny or entitled (at least, in my opinion). Personally I'm fine with waiting as long as necessary, I understand that this is unpaid charity project made in the spare time of talented individuals, but the fact that this comment seemingly disappeared from the discussion entirely with no obvious trace of its existence (within the day, iirc) was very, very concerning to me. It could've been a simple glitch, or the user could've deleted it (though I think I remember deleted comments being replaced with a placeholder comment, please correct me if I'm wrong), but I'm nonetheless concerned about what this might mean for the project's current development. It reminds me, in some light shades, of Project M's cleanup after the latest unreleased build leaked out. I don't mean to incite any conspiracy against the forum, not at all, and I will humbly and enthusiastically embrace any explanation or correction in my assumptions. But I'm nonetheless very concerned over what I perceive, as I hope for only the best for this project and community that I hold very dear to me, and I excitedly await the next entry in its evolution. Nobody has any idea what comment you may be talking about, sorry. The game is still being worked on, the most recent dev blogs were never said to be a weekly thing. I've been lurking daily, so it definitely existed. Likely, it was deleted shortly after the user posted it. Sorry for the misunderstanding. It's good to hear that development is going well, and I wish the dev team the best. Two comments got deleted: mine and someone else's. Both these comments where made on January 14 and deleted the next day. The first one was someone asking where's the dev blog and the second one was mine: "Same, it's been a month" (since the last dev blog). It is not true that "nobody has any idea what comments" Shiruza is talking about since these where, in fact, deleted by someone. When I said "nobody has any idea what you're talking about" I was referring to the internal dev team i.e. anybody who has the ability to delete comments, sorry for not clarifying. Regardless I don't know what you want me to do about the situation, we are perfectly aware that there hasn't been an update in a while and we purposely did not say 'tune in next week' or whatever because we knew there was going to be a significant period of time before the next one. Regardless, I hope this special blog will be as big as a direct. I'm not picky. As much build-up as there has been, any update at all will do, at any time. Also, AlfasPT; yes, for the record, your comment was the one that I saw. Seems this may have been a glitch of some kind. As for what to do with the situation, nothing really. I'm willing to patiently wait. I just wanted to make sure that everything was going well, since similar things were happening shortly before Project M's cancellation of development and I was worried for the project's future. As long as you say things are going fine, I'm satisfied with no reason to doubt you. I saw the comment, and while the one that replied to it wasn't too bad, the first comment was a bit entitled and insensitive iirc. I felt like the guy was just another 12 year old, thinking harsher words carried more power. I wouldn't be surprised if a mod took it the same way I did and purged it. I noticed the "Tune in next time" immediately as soon as the blog was released, and I didn't expect it to be any time soon. But now, especially with the new balancer builds being showcased, I'm holding on just fine. Pardon me, but what's this about the showcasing of balancer builds? I'm surprised I hadn't heard of such an event, but now I'm very curious. If you watch the balancers' streams, especially Traweezie, they just got a new 9.1 build and they play it a lot. This new one has all the changes up to this blog, I believe.